According to Jane Austen it is a truth universally acknowledged, that a single man in possession of a good fortune, must be in want of a wife1. Equally memorable are the by now surely-apocryphal schoolboy excuses: ‘a big boy did it and ran away’ and ‘the dog ate my homework’. When families of kids with disabilities gather on social media, an equally common trope is ‘I blame the parents’. It vies with ‘I blame social services’ and ‘I blame the government’. It may be used self-deprecatingly, ironically or, sometimes, more pointedly. Well, for a moment I want to blame myself. I recently reacted to a perceived slight to my daughter, by attributing blame to other parents. A more thoughtful approach might better have served. Let me explain. 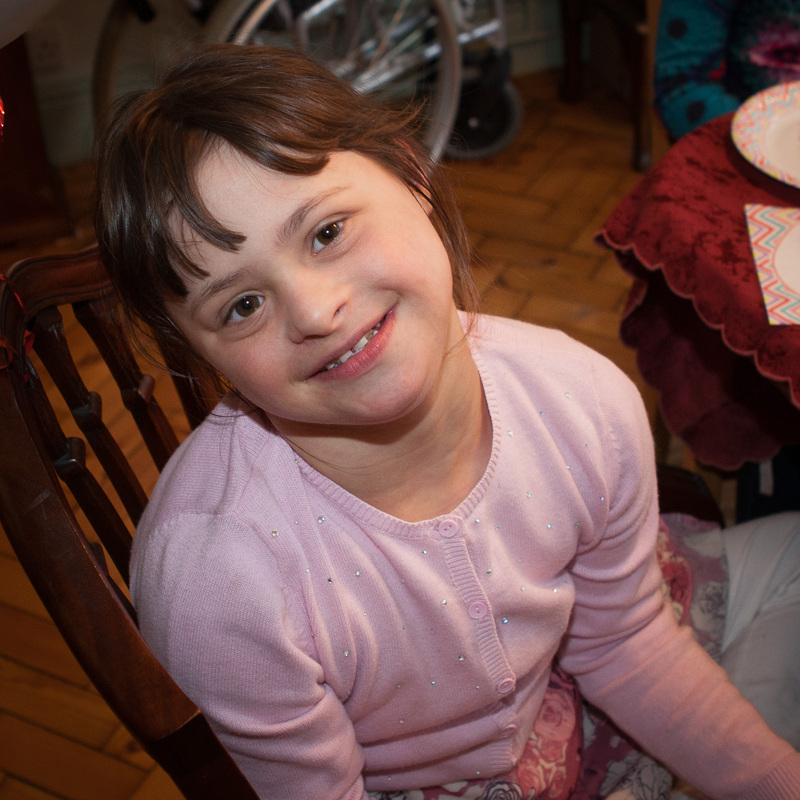 Aged 10, my daughter, The Girl, who happens to have Down Syndrome (DS), is in a mainstream primary school. She has mornings in a specialist resources base for children with special educational needs, and afternoons in with her mainstream peers, supported by a Teaching Assistant. This model has been followed since the school’s ‘reception’ class and will continue until The Girl goes to High School in the autumn of 2017. In earlier years, when birthday parties were held, the whole class was invited; as were friends made through out-of-school activities. As the children have grown older the parties have gotten smaller, or merged, and parents started asking their kids to choose 6/8/10/whatever number of friends to invite. I remember being asked to make such a choice by my mam and dad. It’s a way of inculcating responsibility in our children and also recognising that parties and other birthday events have costs attached. When I was a child and asked to make such choices, however, there was no culture of inclusion and no-one with any diagnosed disability was in my mainstream classes. Today, The Girl is very sociable and is liked by quite a few mainstream children. But she is intellectually and physically slower than these mainstream peers. Despite this, she is very aware of what goes on that doesn’t include her. In recent years, we’ve found that where parents tell their kids that, for this party, they should choose to invite, say, six or eight friends, it is unlikely that – and unusual for – the kids to pick the little girl with DS. (There is little or no ‘side’ behind that statement. It’s simply a factual observation.) Not, I hope, because they are prejudiced against DS but because they have MORE in common with, say, eight mainstream peers. So, for very good and understandable reasons (cost, manageability, not inviting the whole class), the much-liked but not-enough-liked child with DS will go years without getting an invite from most of her mainstream class peers. Even those she’s closest to. The same applies to play dates. The kids are fond enough of my daughter to come to her parties and play dates but they don’t reciprocate. I’m told that this pattern rings true for other parents of kids with DS and other physical and developmental conditions. It means that a child with DS (‘my’ child with DS) may be integrated in a classroom each afternoon but not at all integrated with her peers in society at large. Mixed, after-school activities help mitigate this issue but are no solution. I’m not sure how to solve this conundrum. (a) If we ask our kids to choose a small number of friends to invite to an event, are we invariably reinforcing a system that essentially excludes kids with disabilities, whether learning, developmental, or intellectual? (b) Will the ‘disabled’ child (or if you prefer, specifically, the child with DS) never be invited unless parents instruct or encourage their kids to do so? (c) But is the price of inclusion too high if it stops kids choosing their first choice guests? Wouldn’t that simply make the guest with the disability resented? (d) Is there a way of reconciling the previous two bullet points? What is that way? (e) Or is it that parents and kids alike feel that the disabled child might be unable to join in the activity or need specific forms of support? (f) Do parents of mainstream kids do enough to show their children that inclusion is important, the benefits of which may carry a cost? As a friend wrote to me: “It amazes me sometimes the things people post about equality and inclusiveness, in the abstract and then are so competitive and exclusive in their actual behaviour. And the example they set to their children”. (g) Do we parents of kids with DS (and other ‘disabilities’) see slight where none was intended? Even if we do, is the reality that our kids can be systematically excluded unless we point it out wherever we see it? (h) Is it that integration is well and good but there is too wide a chasm between ‘mainstream kids’ and those with special needs for them ever to mix through tween and teen years? I’d value temperate and courteous responses from anybody and everybody who recognises the genuine and difficult aspects of this situation and/or can offer a way through the maze. Share comments through the usual route please, via the proprietors. In the meantime, we are building up for the summer holidays. For The Girl it begins, appropriately, with a trip to Aberystwyth for a friend’s 10th birthday party (said friend also has DS). By the time you read this, we’ll have stayed at a sea-front hotel, hoping that Aber is spared the summer storms that so battered the promenade and bandstand two years ago. Summer also sees the temporary postponement of most of The Girl’s after-school activities. Not all of them of course. Today (16 July) The Girl entered her second judo competition. She came second, drawing two fights and winning one, throwing and holding down a much bigger girl. The Boss got talking to a mum who said that when her daughter came home after first meeting Angharad (for such is The Girl) she said: “I’ve just met a girl with a fantastic name : King Herod”!! We parents of kids with special needs are blessed to live in a time and place that gives a welcome to children and adults with all sorts of abilities. Sometimes, members of the public, even friends, don’t ‘get’ our concerns; at other times we over-compensate and see discrimination where none was intended. Despite such misunderstandings, the movement towards ‘inclusion’ is like an ocean fed by individual rivers; gaining strength and power through integration and combination; and this column seeks monthly to drip-feed that ocean with one little girl’s story. As David Mitchell puts it at the close of ‘Cloud Atlas’: [Yet] what is any ocean but a multitude of drops”2.